Achievements for 2015/2016 were: 2nd Cardwell Cup, 2nd Victorian Title, 3rd President’s Cup, 3rd Interstate Challenge, Presented 4th Place by Chris Curren at the Curren Memorial after an electrical problem whilst in 2nd Place. My aim this upcoming season is to *WIN A RACE* and complete without any problems. Rushworth and Bairnsdale are my all time Favourite Tracks. 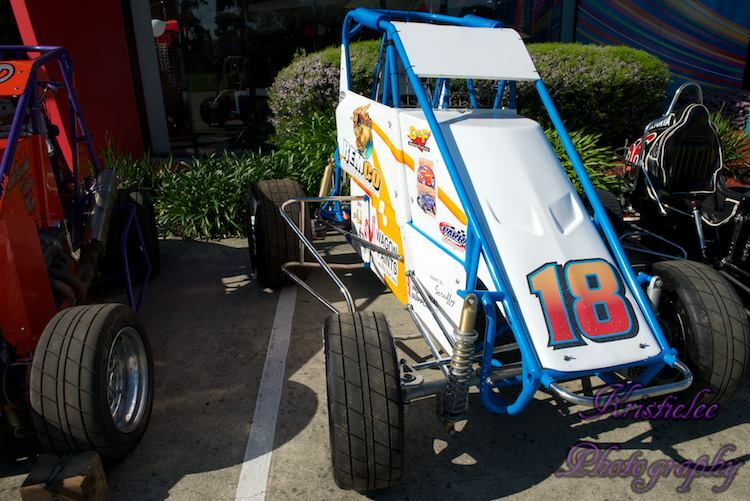 Being involved with the Compact Speedcar: They are a great bunch of people to be around and always there if you need a hand, great to talk to and easy to get along with. A BIG Thankyou goes to Rob for giving me the opportunity to drive the V18 and for all of his expert advice I’ve learnt over the years.